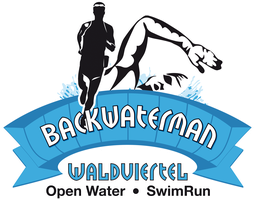 Open Water Competitions - backwatermans Webseite! The long-distance classic with a distinctive flair in the fjord-like waters of the Ottensteiner reservoir. The Backwaterman has been the pioneer of the long-distance open water scene since the first edition in 2006 and annually attracts the best athletes from many countries. Since 2018, the Backwaterman has been continued in an alliance according to the unique flair and its special features. The special characteristics of the unique, natural environment, the unique swimming in fjord-like waters, the special atmosphere at the boat, as well as the start and finish line are essential factors why many swimmers feel particularly well here and make "The Special One" even more unique. The natural paradise is accessible only in a few places and has therefore retained its original character. Pure nature experience! Orientation is more important than usual, because the many small turns always require changes of direction. Since 2018, entry-level distances have also been offered in the lake arena around the dam. In a word: Open Water Experience par excellence is waiting for you - "Be a BackwaterMan!" - We look forward to seeing you.